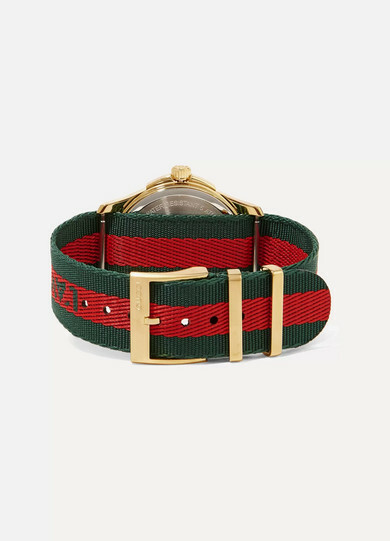 Gucci's watch is made from signature green and red canvas webbing woven with the phrase 'l'aveugle par amour', meaning blinded by love. 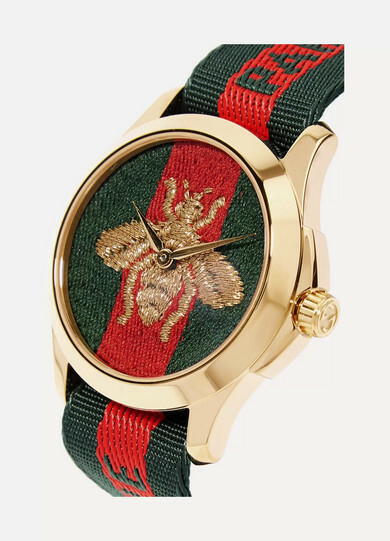 It's encased in gold-tone metal and embroidered with a bee at the center. 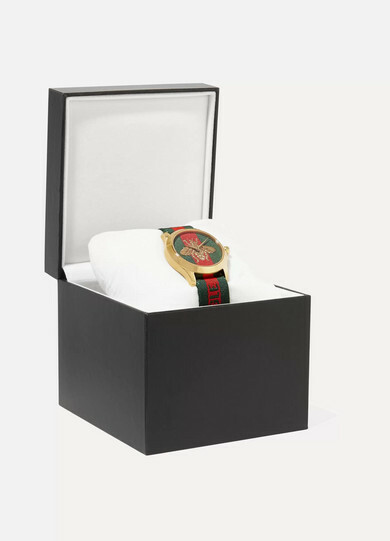 The Swiss-made ETA quartz movement ensures precise timekeeping. 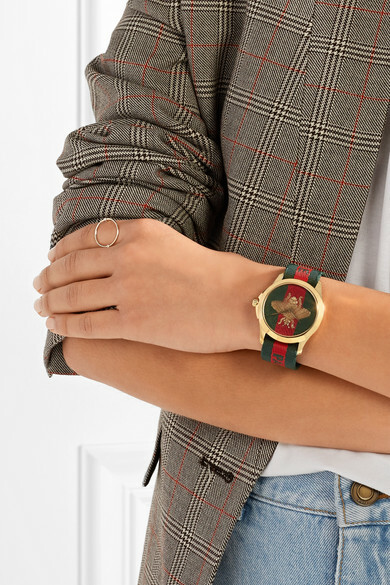 Shown here with: Stella McCartney Blazer, The Row T-shirt, Gucci Jeans, Gucci Loafers, Sarah & Sebastian Ring.